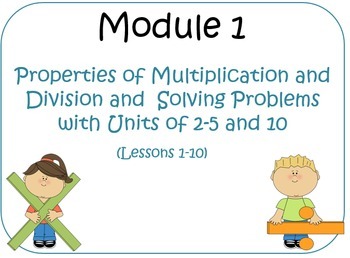 This is a PowerPoint resource that will help you teach the Concept Development section of Eureka Math's "A Story of Units." 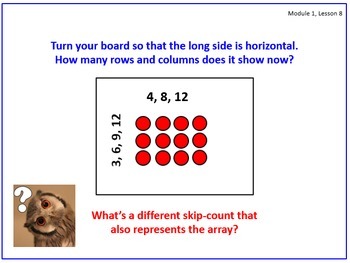 It includes slides for Lessons 1-10 with the needed problems, examples, arrays, number bonds, etc. 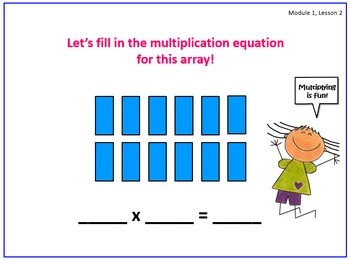 It also includes I Can Statements, Fluency, Application Problems, Problem Sets, Debriefs, and Lesson Links to keep you from having to scroll through other lessons to get to the one you need. If you purchase, be sure to preview each lesson in Slide Show. Many text boxes/objects appear with a click of the mouse, and these slides will look jumbled in design mode. I began creating these PPTs to help teachers manage their class time. When I first started teaching the modules, I had a very difficult time getting it all in. Now, I stay on track, I don't have to stare at my book, and my kids enjoy math!